Caribbean and it is not in the Bahamas. Rather, Bermuda is located 570 miles due east of Cape Hatteras, North Carolina. islands in temperature and climate. 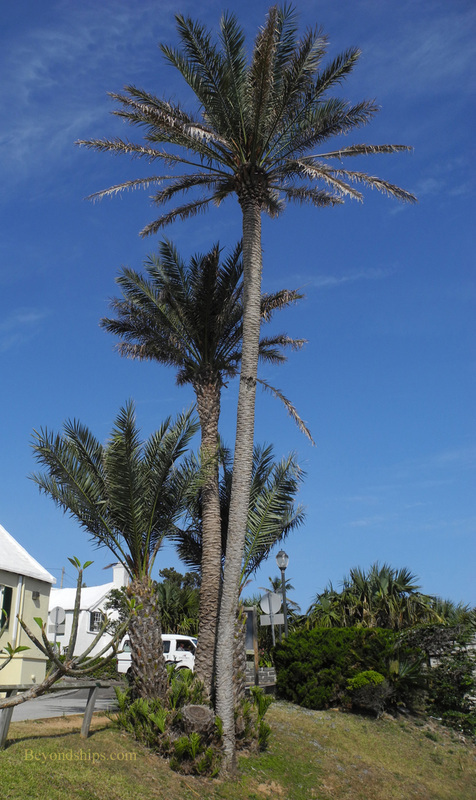 While the weather in Bermuda is typically warm and sunny, it is not tropical. However, in mid-summer, it can be quite humid. 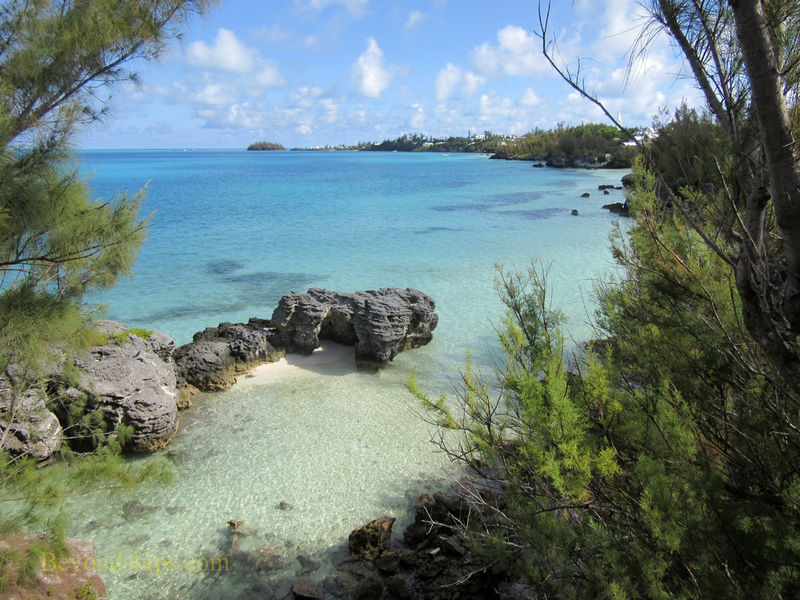 Aside from location, Bermuda differs from the other islands in its standard of living. It has long been an offshore financial center with many banks, financial houses and corporations having offices on the island. 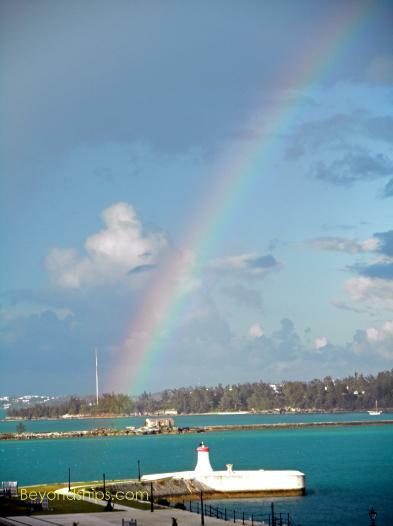 As a result, Bermuda is not completely dependent on tourism for its income. 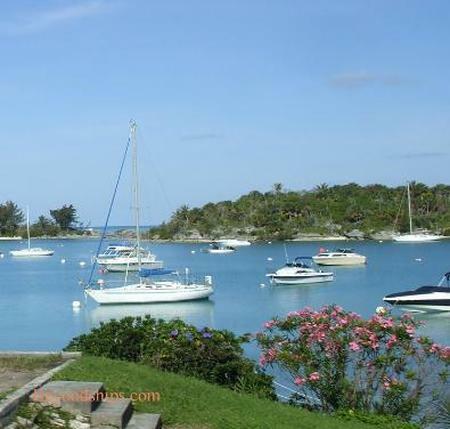 While everyone is not a millionaire, one does not see abject poverty in Bermuda. than 120 islands. However, many of these are quite small and a visitor’s Bermuda is limited to the six largest islands (Ireland, Boaz, Main (also called Great Bermuda), Somerset, St. David’s and St. George’s). These islands are linked by roads and causeways and often it is difficult to tell when one has left one island and entered another. The islands form a narrow hook-shape that is approximately 21 miles long. At its widest point, Bermuda is about two and a half miles wide. The highest point is 259 feet above sea level. Politically, the island is divided into nine parishes. The capital city is Hamilton. populated place on the planet. However, very little of the islands has been urbanized. There is plenty of green place and crowds are rare. Bermuda’s lifestyle still shows traces of its English roots. It is perhaps a little more formal and traditional than other islands. It also has its own distinctive elements. Businessmen do still wear jacket and tie with Bermuda shorts. 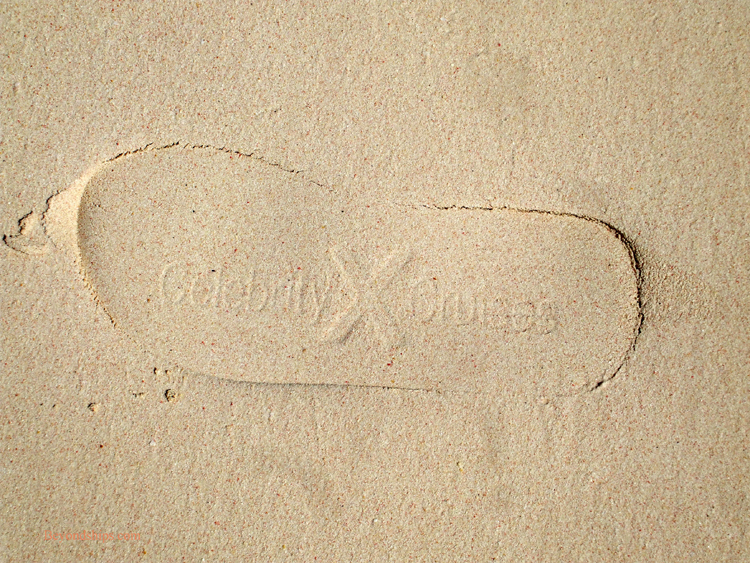 Due to its climate and lifestyle, Bermuda attracts many of the rich and famous. Modern mansions are quite common along the shoreline as are yachts and smaller boats. 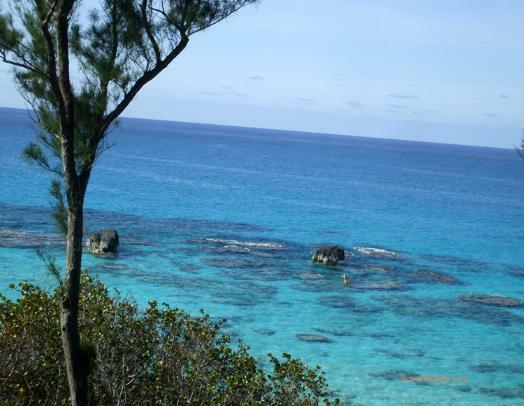 Bermuda are made from concrete and are painted in bright pastel colors. There is no reservoir of fresh water so the roofs are built to capture the rain and channel it into cisterns so that it can be saved for drinking water, bathing and other purposes. 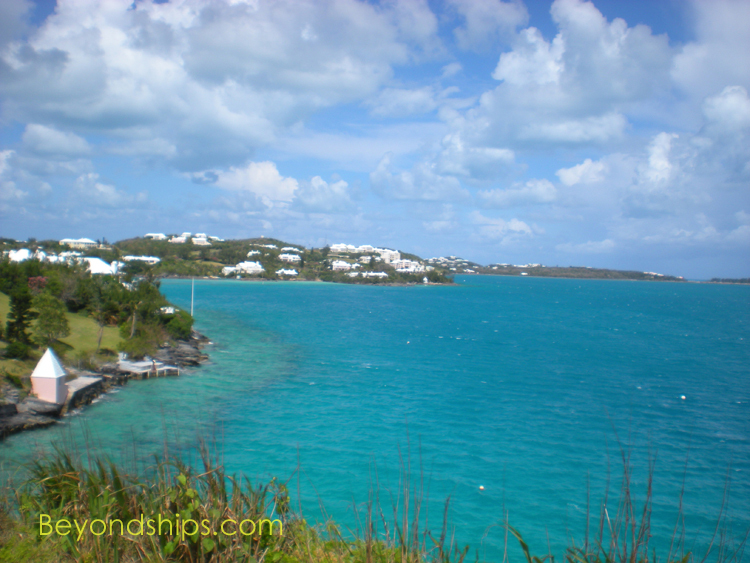 Bermuda is tourist friendly with many attractions catering to visitors. There are also resorts, hotels and dining establishments. In addition, it is also an easy place to get around with a good public transportation system. The islands are a British territory. However, Bermuda is self-governing and takes no internal laws from Britain. The currency is the Bermudian dollar, which is pegged to the American dollar. American currency and credit cards are widely-accepted.